A Muslim autistic man's journey post 9/11across America to get back his love while breaking prejudices and stereotypes associated with specific religion. So it came, amidst the strong threats & all the media razzmatazz which actually raised the hopes that wrapped around this drama,sadly over-estimating the movies worth. The theme explored by Johar is not novel or exclusive but yes, the execution is. Well, here is the first implausible twist where Khan is offered the job of a door-to-door salesman for beauty products. Implausible because Khan doesnt really seem to be the sociall interacting person. Nonetheless, these are one of the most lovable scenes that would tickle your spine. He encounters a plucky Mandira (Kajol) in one of his outings & is determined to make her marry him. There starts a trail where our leading hero innocently tries to woo the lady whose voice even raises his sensations. Post 9/11, things take a ugly turn as the last name Khan affects various facets of life for Mandira who till now had a carefree life. 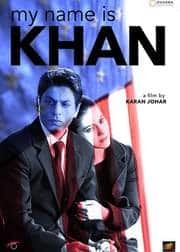 Regretting her decision mixed with a fit of rage around a soccer field turned grave, she screeches at Khan to get out of her life & tell his ideology, the dialogue weve been listening in all the promos of the film to the President of US. Taking all words literally, there begins a quest, an extra-ordinary journey for Khan who also encounters a number of unexpected incidents while on the way. 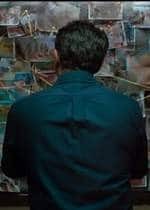 The best part of MNIK keeping in view the sensitive backdrop is the point of view. Unlike previous attempts, this plot doesnt look at things from a terrorist point of view or anything of that sort. Karan Johar with his sense of direction delights you with superbly filmed scenes like when Khan gets his hair cut, or when he drags a skeptical Mandira to make her see the unseen of Francisco, also when she proposes & Khan blushes is simple portrayal of the most spontaneous emotions. Sequences of Kajol breaking down or stranded alone to fight for justice for her kid are terrific. The song sajda is a master-stroke & lights up the canvass with the legendary pairing of SRK-Kajol. 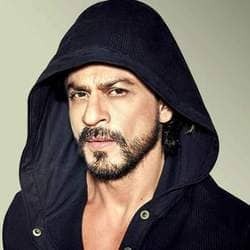 The film, over the period of time makes you fall in love with Rizwan Khan like when he politely asks to fix the too-cold AC at the FBI (torture technique) & you just sit & adore the character & weep for him. The Hollywood touch which Johar tries to add is visible. The photography is easily top-notch, extol for Ravi Chandran. However, I wouldnt go on terming MNIK to be immaculate. What doesnt connect is the portrayal of Khan. 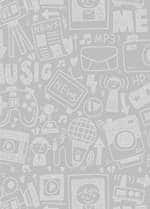 It seems as if the ambitious script of Shibani Bathijia demands him to be a super-hero in the most local common man sort or a semi god in the most human form. The disorder here helps to convince the same & allows the happenings to pass by. It would ve clicked straight away had it not been for Johars cravenness to make it a over-hyped melo-drama. Shankar-Ehsan-Loy fail to deliver super hits like in their portfolio. 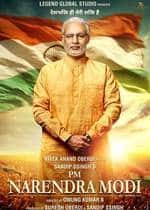 So much said, the film in any parameter is not bad & reflects the base purpose of tolerance, moral values & also targets the stereotype human belief. Quotes of Khans ammi or from the Holy Koran give a unique essence as well. The supporting cast lives upto the expected caliber & are hard-hitting, may it be the character driven Arif Zakaria or the effortlessly clear Sonia Jehan. Vinay Pathak reduced to a tiny bit too delivers his usual. Tanay Chedda as the little Khan is flawless & consistent in his part. Jimmy Shergil on his own is striking as the younger brother. 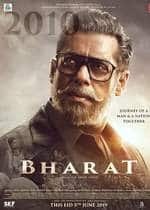 Unlike the promise that featured in its look, Khan is not a revolution or a turnover in any sort nor does it evolve a humanitarian agitation within (like in the film), that slot primarily reserved for RDB. It is not even some cinema that raises your hair (though it tries its best). The finest moments are that of the super successful on-screen couple. On the whole, MNIK stands apex, very much improvised from the unkempt Kurban or the vague New York, it is water-tight in performances, marvelous in cinematography & fine-tuned in Direction. Let alone the climax parts of which are cheesy & lolloping, this flick will make you shed some happy-tears, make you smile & youll go out with a slightly clear vision of certain aspects, it isnt unforeseen Sharukh bagging the maximum trophies next year, after all MNIK raises his own standards and gives himself a benchmark, he has to outsmart himself in his next. Kajol she cannot be more complimented & I may very well exhaust my own thesaurus. MNIK hits maximum right keys leave aside the tiny loopholes, as it is not some impetuous work.